Wow! That's an incredible statement of friendship, but showbiz isn't a hub of business, challenges and hostilities, but some stars do share a friendly bonding beyond the perceived levels. 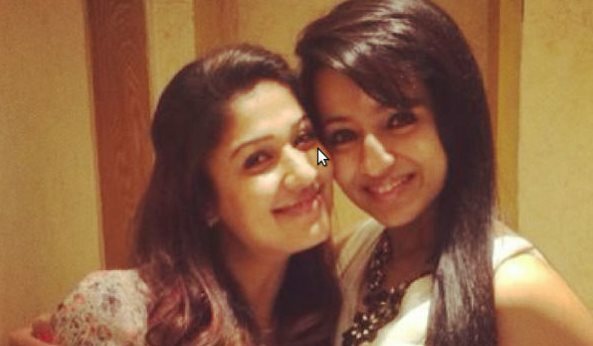 Right now, Trisha and Nayantara have been sharing a wonderful bonding over the years and this one seems to be ample evidence. Trisha will be in Singapore on November 8for inaugurating the Rex Cinemas and as a special gesture, a charity show of special screening for Naanum Rowdy Dhaan is happening. The fans can watch the film along with actress Trisha, who has been invited as the guest of honour and VJ Bhavana will be yet another special guest.